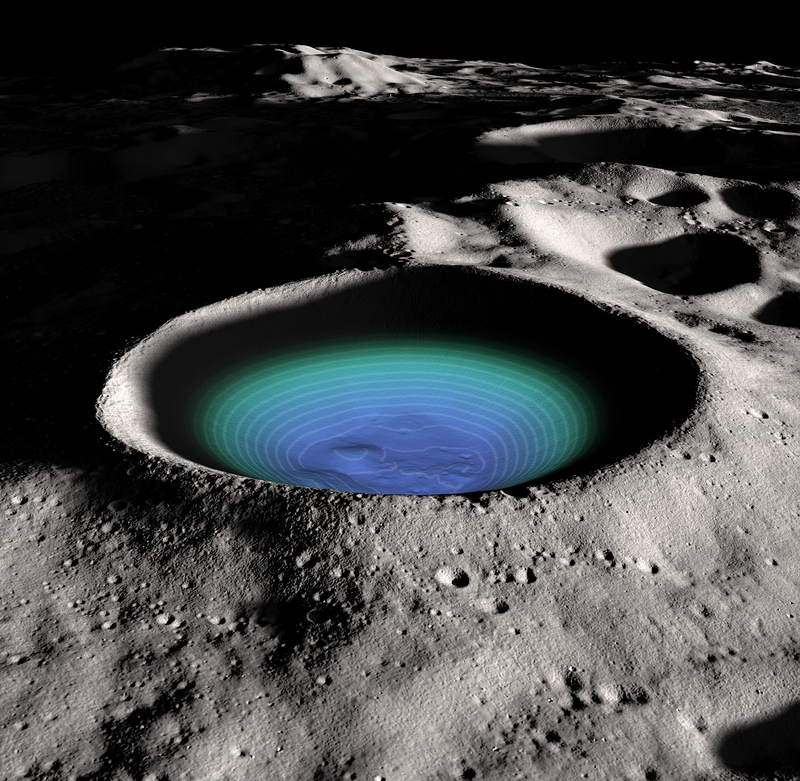 A team of researchers lead by Bill Farrell of NASA Goddard Space Flight Center in Greenbelt, MD, investigated how volatile chemicals like water ice, carbon monoxide, carbon dioxide, ammonia, methane and other unstable compounds (collectively referred to as “volatiles”) can migrate out of craters on the Moon. Many volatiles escape into space, but some of them are bounded to the Moon, often falling into “cold traps” in the bottom of permanently shadowed craters. The scientists looked at how volatiles are released when bombarded by energetic particles that are common in the harsh space environment. 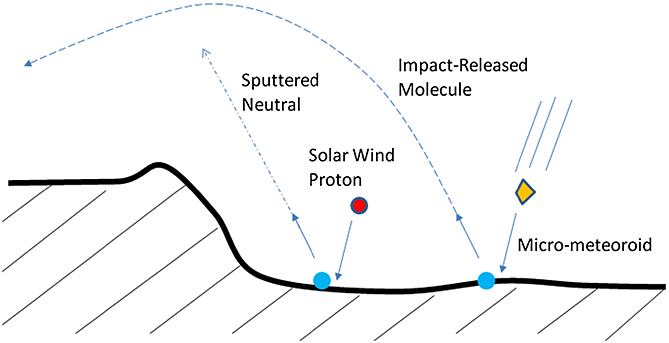 Plasma from the solar wind and micrometeorite impacts may vaporize volatiles lofting them up from the crater floors and scattering them in the crater’s immediate vicinity. Lets say you were exploring the lunar poles, prospecting for resources, and you wanted to know what was at the bottom of a dark crater. 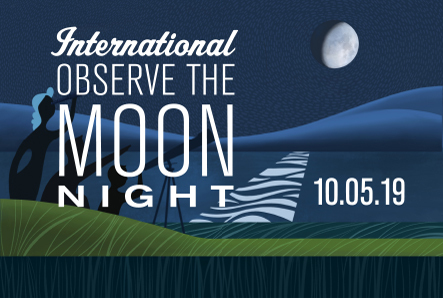 Sniff around the crater rim and you might find out! The team concludes that the nature of the volatile content on crater floors can be obtained by sampling the surface volatiles that have migrated or “spilled out” onto the adjacent terrain. 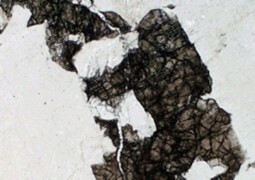 “This “spillage” effect could make human or robotic prospecting for crater resources significantly easier, since an assessment may not require direct entry into the very harsh polar crater environment,” said Farrell, who is also the Principal Investigator for SSERVI’s “Dynamic Response of Environments at Asteroids, the Moon, and moons of Mars” (DREAM2) team. These topside volatiles could be very useful for prospecting: a landed robotic mission does not have to necessarily enter directly into the harsh, shadowed polar crater to determine the nature of the volatiles. A system could examine the surrounding polar crater lip to determine the nature and amount of volatiles that reside onto the crater floor. One could envision a hopper lander moving from crater lip to crater lip to assess which south polar crater possesses the greatest volatile content. The hopper lander could make its final hop into the richest polar crater floor to make an assessment at the source. Read the full paper. Reference: W. M. Farrell, D. M. Hurley, M. I. Zimmerman (2015). Spillage of lunar polar crater volatiles onto adjacent terrains: The case for dynamic processes; Geophysical Research Letters Vol 42, 3160-3165. Source: W. M. Farrell, D. M. Hurley, M. I. Zimmerman (2015). 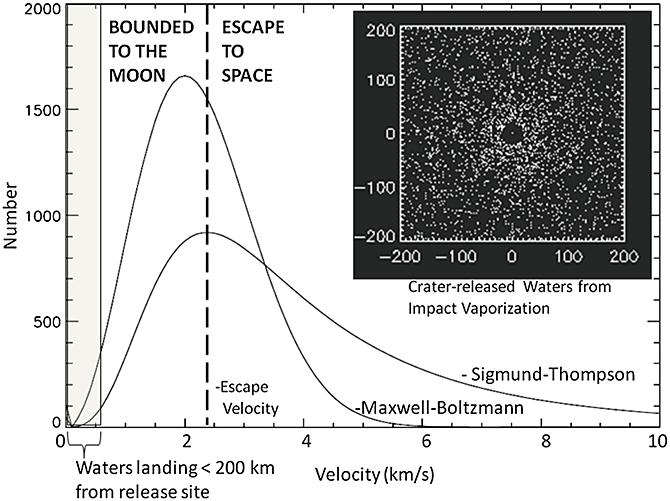 Spillage of lunar polar crater volatiles onto adjacent terrains: The case for dynamic processes; Geophysical Research Letters Vol 42, 3160-3165.